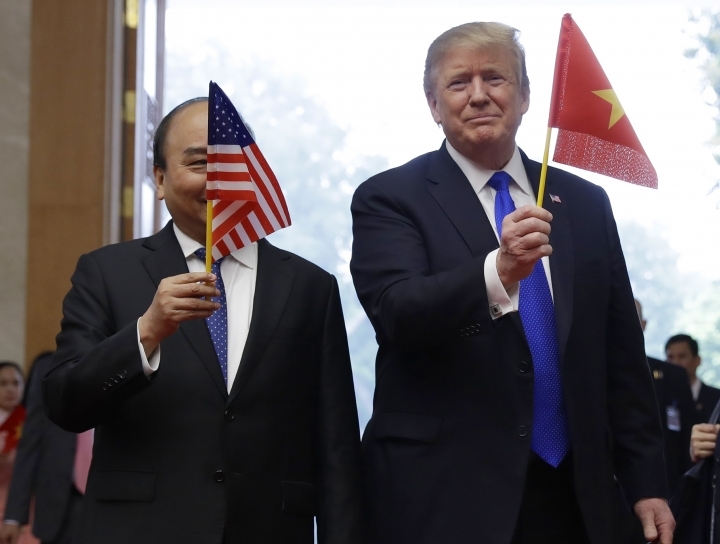 HANOI, Vietnam — U.S. President Donald Trump enthusiastically waved a tiny Vietnamese flag Wednesday as he sought to convince North Korea's Kim Jong Un that his nation could thrive economically like Vietnam if he would end his pursuit of nuclear weapons. Trump expressed a similar sentiment in a tweet earlier Wednesday. 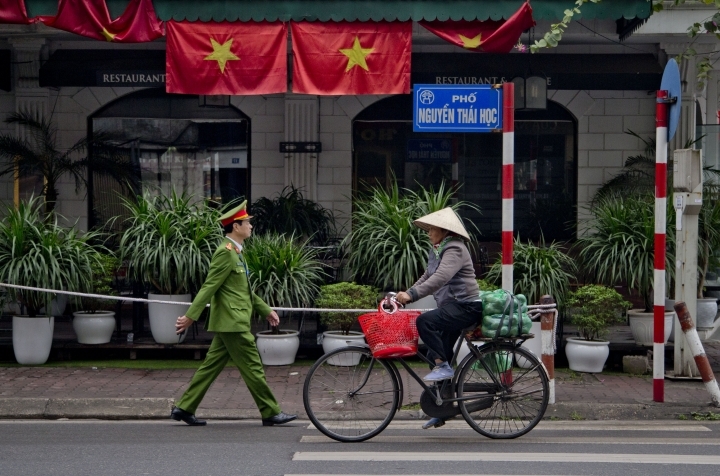 "Vietnam is thriving like few places on earth. North Korea would be the same, and very quickly, if it would denuclearize. The potential is AWESOME, a great opportunity, like almost none other in history, for my friend Kim Jong Un. We will know fairly soon - Very Interesting!" 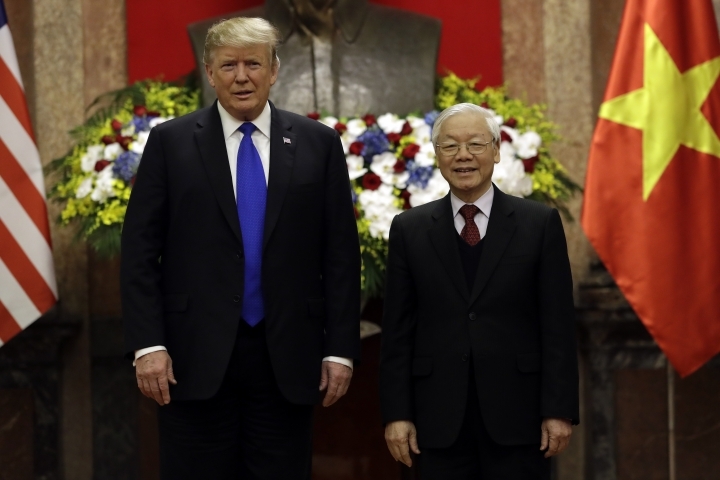 While Trump held a series of meetings with his Vietnamese hosts, Kim remained at his hotel while North Korean officials toured Vietnam's scenic Halong Bay and a nearby industrial site. 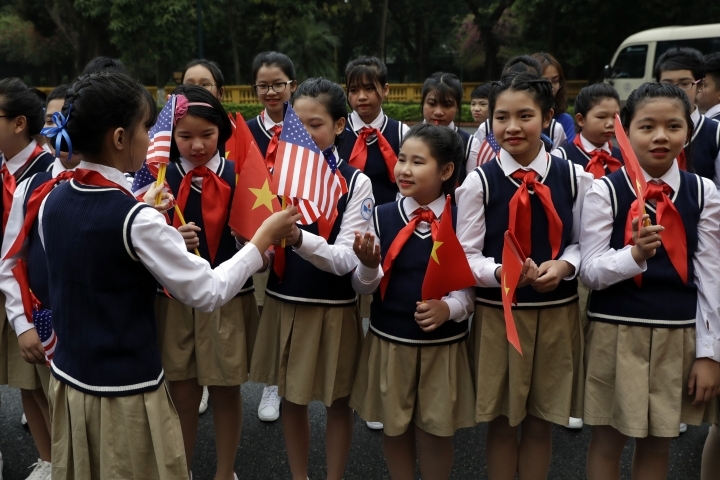 South Korean TV showed a group of officials, including Ri Su Yong, vice chairman of the party's central committee, taking a cruise along the bay and visiting factories in the port city of Hai Phong. 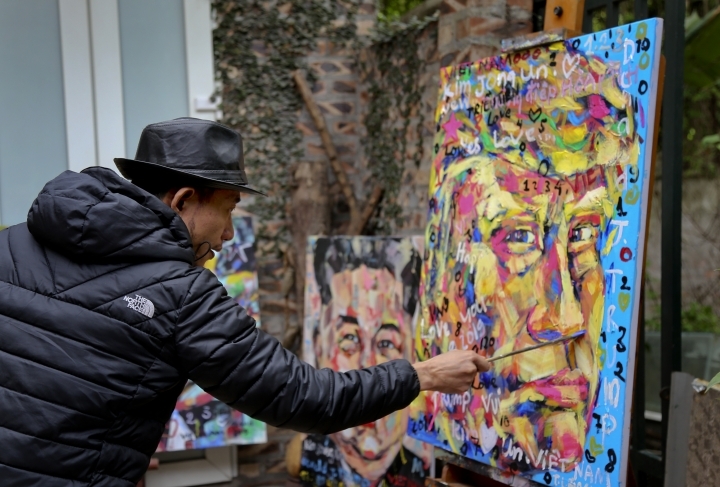 The group also reportedly included O Su Yong, director of economic affairs at North Korea's ruling Workers' Party of Korea. 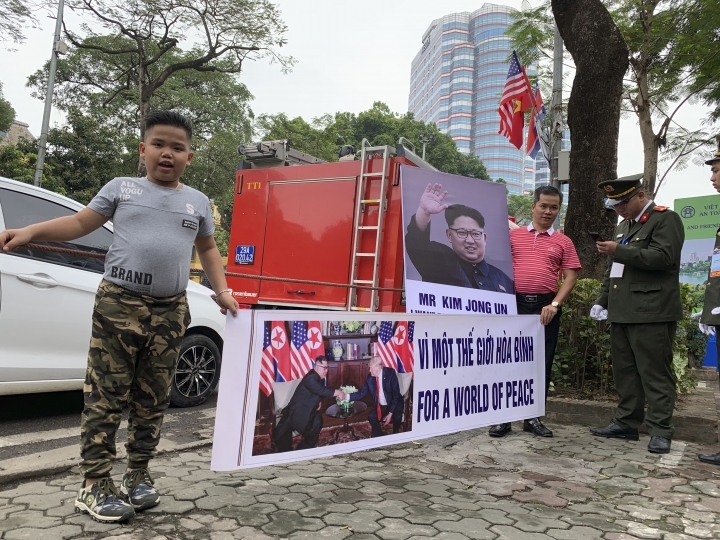 Experts say O's inclusion in the delegation indicated that Kim expects to return home with economic rewards, including partial sanctions relief. North and South Korea also want sanctions dialed back so they can resurrect two major symbols of rapprochement that provided much-needed hard currency to North Korea: a jointly run factory park in Kaesong and South Korean tours to the North's scenic Diamond Mountain resort. Scoring a victory at the summit would offset Trump's political troubles back in Washington, where Michael Cohen, his former personal attorney, was prepared to tell a House committee that Trump is a "racist," a "conman" and a cheat." Back at his hotel with hours to spare before meeting with Kim and unable to ignore the distraction playing out thousands of miles away, Trump began tweeting about Cohen, a Democratic lawmaker who has criticized him in the past and other issues. Trump said Cohen, who has been sentenced to three-years in prison for lying to Congress, "did bad things unrelated to Trump" and "is lying in order to reduce his prison time." Trump and Kim were opening their second summit with a one-on-one chat and social dinner, before additional talks on Thursday. Trump was being joined at dinner by U.S. Secretary of State Mike Pompeo and acting White House chief of staff Mick Mulvaney. Kim was being accompanied by Kim Yong Chol, a key negotiator in talks with the U.S., and Ri Yong Ho, the foreign affairs minister. Interpreters for each side were also attending. There's growing worry among experts that Trump, eager for an agreement, will give Kim too much and get too little in return — a peace declaration for the Korean War that the North could use to eventually push for the reduction of U.S. troops in South Korea, for example, or sanctions relief that could allow Pyongyang to restart the lucrative economic projects with the South. 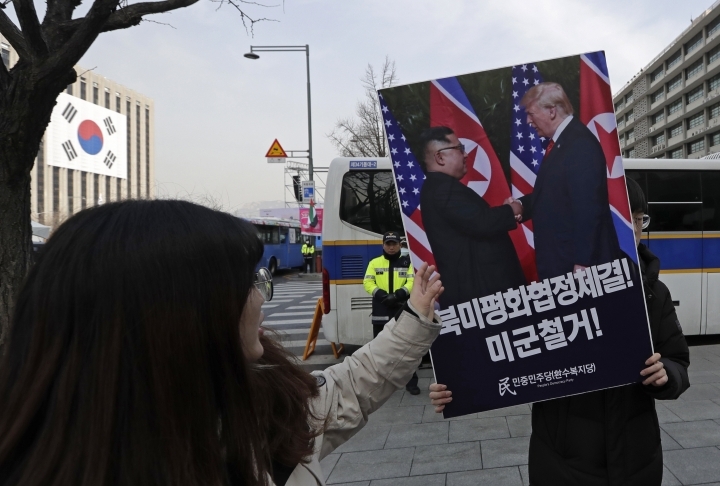 Skeptics insist Trump must first get real progress on the North abandoning its nuclear weapons before giving away important negotiating leverage too soon. Trump criticized media reports about his intentions, tweeting that "Kim Jong Un and I will try very hard to work something out on Denuclearization & then making North Korea an Economic Powerhouse. I believe that China, Russia, Japan & South Korea will be very helpful!" Back in Washington, Cohen also planned to tell lawmakers that Trump knew ahead of time that WikiLeaks had emails damaging to the presidential campaign of Hillary Clinton, Trump's Democratic rival in the 2016 presidential election. Cohen also was alleging that Trump implicitly, but not directly, told him to lie about a Trump real estate project in Moscow.